Varna Economic Development Agency were involved in many small and big projects on different topics, trying to solve different issues. Full list of completed projects is bellow. Project BSB 294 AgroNet – Piloting Modern Trading Opportunities in Agriculture through Creation of the Innovative Online Platform, co-financing by the Joint Operational Programme “Black Sea Basin 2014-2020” with lead partner Georgian Institute of Public Affairs. 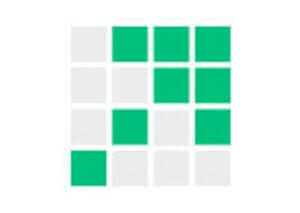 The project AgroNet is for cross-border cooperation between project partners aiming to increase trade opportunities and modernization in the agricultural and connected sectors through piloting modern trading opportunities in agriculture by creating the innovative online platform. The project implementation will be piloted on the regional level in three countries of the Black Sea Basin with the forward outlook for transfer-ability and extension opportunities to the neighboring countries. Project Duration: 19.06.2018 – 18.06.2020. Project BSB 541 TeaWay – Promoting tea as the engine of growth for the Black Sea Basin Area, co-financing by the Joint Operational Programme “Black Sea Basin 2014-2020” with lead partner Xanthi Chamber of Commerce and Industry in Greece. Tea is one of the oldest and the second most consumed drink in the world after water. Until the end of the 19th century, the production was concentrated in Asia, however, rising global demand for tea have led other countries to cultivate their own tea. Now, it’s produced in 40 countries around the world. Project Duration: 17.08.2018 – 06.08.2020. Project DTP1-1-311-2.2 NETWORLD – Networking in preserving the First World War multicultural heritage in the Danube countries, supported by the Danube Transnational Programme (DTP). Fourteen project partners from nine DTP countries have jointed their efforts in the NETWORLD proposal to manage the sustainable use of the WW1 cultural heritage by combining it with a quality cultural tourism. There are also ten ASP participate. 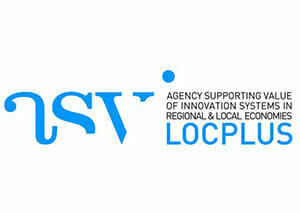 The Lead Partner is Soca Valley Development center in Kobarit, Slovenia. NETWORLD project contributes to the DTP programme objectives SO 2.2 by strengthening the joint and integrated approaches in preserving and managing the WW1 cultural heritage and resources in the Danube region as a basis for sustainable development and growth, in order to increase mobility, sustainability, common remembering and cultural tourism. 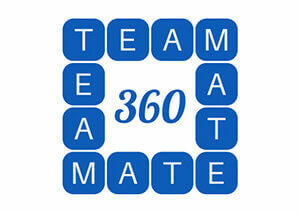 Project 2016-1-UK01-KA202-024353 Team Mate 360, funded by the UK National Agency of Erasmus+ Programme. The TeamMate 360 project will investigate the current status of remote team-working practices, skills and capabilities of today’s managers from a range of enterprises including: public and private sector, large and small enterprises; and social enterprises. The TeamMate 360 project will develop an innovative, on-line assessment tool to benchmark the behaviors and practices of managers and enterprises throughout Europe. Project partners will also prepare a curriculum for a new VET course and training the trainer programme to equip over 150 managers with the knowledge and competencies to manage remote teams. Partners will publish a series of national TeamMate benchmark reports plus a comparative analysis of remote team-working practices of enterprises and managers from six European countries. Project duration: 01.09.2016 – 28.02.2019. 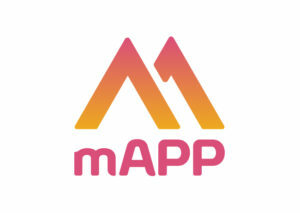 Project 2018-2-RO01-KA205-049892 mAPP My Europe, funded by the Romanian National Agency of Erasmus+ Programme. Project duration: 01.09.2018 – 31.08.2020. 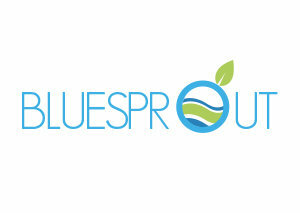 Project 2018-1-MT01-KA202-038500 Bluesprout, funded by the Maltese National Agency of Erasmus+ Programme. Taking advantage of the blue growth opportunities requires an adequately and educated workforce that will have the ability and knowledge to use and apply latest technologies and tools and equipment, filling in a number of gaps. An healthy environment and high-quality services will make coastal areas more appealing for marine and nautical tourism activities, sports, and green tourism. Therefore, specific strategies drawing on innovative and attractive policies and products must be put forward to capture the potential of marine tourists in low season. Project duration: 15.10.2018 – 14.01.2021. Project 2018-1-PT01-KA202-047311 Your Business Success, funded by the Portuguese National Agency of Erasmus+ Programme. 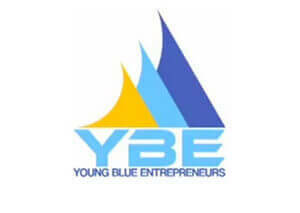 The Your Business Success (YBS) project will develop an innovative approach to enable the primary target group (aspiring entrepreneurs and business owner/managers of micro and small enterprises) to prepare practical and performance-focused business plans. This will be achieved through the development of a new digital business planning tool and methodology supported by a new VET course and learning resources. Project duration: 01.11.2018 – 31.10.2020. Project 2015-1-UK01-KA202-013654 Fit for Business Growth, supported by the EU, Erasmus+ Program with a lead partner Exponential Training & Assessment Limited in the UK and partners Best Institut fur Berufsbezogene Weiterbildung und Personal Training GMBH from Vienna, Austria, Universite de Bordeaux in France, Smart Growth for Business Consulting – in Croatia. Project duration: 01-09-2015 – 31-08-2017. 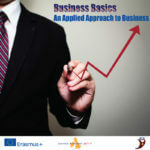 Project 2016-3-UK01-KA105-035043 “Business Basics – An Applied Approach to Business”, approved for funding by the U.K. National Agency of Erasmus + KA1 Program. The Lead Partner is One Terrene International (U.K.) , in short OTI, which is part of an international network of organizations involved in adult education and youth work in a variety of fields in Europe. Training duration: 12/08/2017 – 20/08/2017. 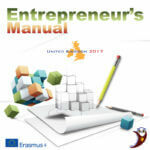 Project 2016-3-UK01-KA105-035046 “Entrepreneur’s Manual”, approved for funding by the U.K. National Agency of Erasmus + KA1 Program. The Lead Partner is One Terrene International (U.K.) , in short OTI, which is part of an international network of organizations involved in adult education and youth work in a variety of fields in Europe. Project 538864-LLP-1-2013-1-UK-ERAMSUS-EQR “SMEs Leaders and sustainability: Deliberative Engagement”, supported by the EU Long – life Learning, Erasmus Program with a lead partner Leeds Metropolitan University in Leeds, UK and partners from UK, Switzerland, Sweden, Belgium, Italy, Croatia. Project duration: 1 October, 2013 – 31 March, 2016. Project “Young Blue Entrepreneurs Across the World” (YBE) with a lead organization – Cabildo Insular de Gran Canaria – Consejería de Juventud e Igualdad (Youth and Equality Department), funded under the Grant Agreement from August 6th, 2013 for an Action with Multiple Beneficiaries; Agreement Number 2013–3852/011–011 YT7 CAAP7. Project duration: 1 Oct.2013 – 16 February, 2015). Project 2.1.2.73301.285 PIRT – “Promoting Innovative Rural Tourism in the Black Sea Basin region”(PIRT) with a lead partner HEIFER Project International from Yerevan, Armenia. 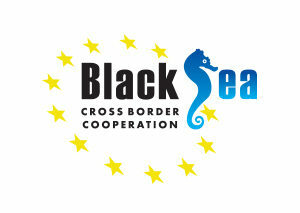 Under the project there was planned creation of a new innovative tourist packets in the area of the Black sea basin. There are 4 groups of activities, incl. but not limited to training of local service providers (LSP) active in rural tourism, exchanges & study tours for LSP and travel agencies, work with educational authorities and government bodies to incorporate the new product in tourism training curricula and policy measures, and other activities, carried out by the four partnering organizations VEDA from Varna, Bulgaria, HEIFER Project International from Tbilisi , Georgia, Gumushane Educational Authorities from Gumushane, Turkey and HEIFER Project International from Yerevan, Armenia. Project duration: 5 November, 2013 – 4 May, 2015. 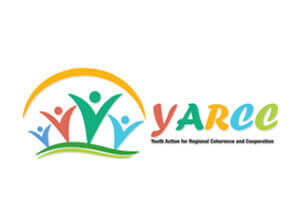 Project 2.3.1.73322.291 YARCC – “Youth Action for regional Coherence and Cooperation” (June, 2013-May, 2014). Lead partner: HEIFER Project International-Armenia. Funding sources: Joint Operational Program “Black Sea Basin”, Ministry of Regional Development and VEDA. Project SEE/D/0320/4.1/X BUILD SEE – “Addressing the divide between EU indications and their practical implementation in the green construction and eco-social re-qualification of residential areas in South East Europe regions” (Jan.2013-Dec.,2014). Lead partner: Alma Mater Foundation-Bologna,Italy. Seventeen ERDF/IPA/Associated partners come from Italy, Greece, Slovenia, Romania, Hungary, Bulgaria, Austria,Croatia, Albania, etc. Funding sources: SEE Transnational cooperation program and MRDPW. Project SEE/D/0223 /1.2/X APP4INNO – “Development and promotion of new approaches and tools to enhance competitiveness and innovation in the primary sector in Southeast Europe” (Oct., 2012 – Sept., 2014) It is funded by the European Regional Development Fund through the Transnational Cross-border Cooperation Program in South East Europe. Project duration is 24 months. 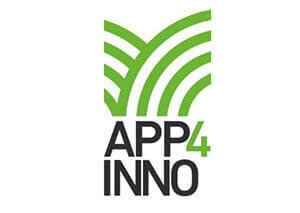 Lead partner: Regional Agency for agricultural, forestry and food industry in the Veneto region of Italy. Fifteen partners come from Italy, Greece, Romania, Hungary, Serbia, Albania, Croatia and Ukraine. 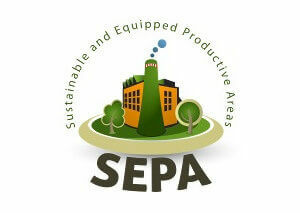 Project SEEA/333/4.2/X SEPA – “Sustainable and Equipped Productive Areas” (March, 2009 – May, 2012) is realized under the South East Europe Transnational Cooperation Program by eight municipalities and non-governmental organizations from Italy, Greece, Hungary, Slovenia, Romania, Bulgaria and Serbia. Left on the picture-the participants in the kick off meeting, held on 9-10 July, 2009 at Baia Mare Municipality in Romania. Lead Partner: Informe – Gorizia, Italia. Project “Support for the integration of people with disabilities and prevention of their social exclusion through the mechanisms of non-formal education”, funded by the Municipality of Varna under the Contract D13000812VN / 28.06.2013 (June – October, 2013). The aim of the project is to prepare adults with physical disabilities for their future realization. It is envisaged through the techniques of non-formal education to increase the skills of the target group in the field of social entrepreneurship and successful work under the operational programs in order to absorb financing from the EU Structural Funds. More information about the project activities and schedule of training has been published in the “News” section. Project BG051RO001-3.3.07-0002 “Students Practice”, funded under the OP “Human Resource Development” – Contract R221/17.12.2013 between Varna Free University and VEDA for conduct of student’s internship at VEDA office in the period 2 January, 2014 – 31 May, 2014. Project BG051RO001-1.1.06 Creation of employment of young graduates through ensuring opportunities for internship”, funded under the OP “Human resource development” – Contract ESF-1106-03-02-0176 between National Employment Agency & Directorate “Labor Bureau”-Varna on one side and VEDA – on other side, for students’ employment and trainee in the period Dec., 2012 – May, 2013. Young graduates from Varna based universities work at VEDA office for 6 months, acquiring practical experience in project management and for a team work. Project ”(In)Action Has Consequences: Reasons and Ways for Young People to Participate in the Decision-Making Process at Home and the EU”, funded by the EU “Youth in Action” Program (Sept, 2011- May, 2012). It is а part of the Sub-Action 1.3 – Youth Democracy Projects, which support young people’s participation in the democratic life of their local, regional or national community, as well as at the international level. • Young people will acquire the knowledge and skills necessary to deal with the difficulties of their transition from education to the labour market, as well as get acquainted with opportunities for developing skills, essential for successful labour market integration through voluntary work. Project “Agencies Supporting Value of Innovation systems in regional and LOCal economies”, funded under the South East Europe Transnational cooperation Programme, was aimed towards establishment of a qualified and appropriate framework to motivate SMEs for innovation and their closest approach to the results of R&D activities through the establishment of a network of innovative key players, promoting innovative management and definition of management model for creating and managing innovative processes both at regional and international level.Project duration: March, 2009 – May, 2012. Project “Strengthening of Civil Society through Capacity Building Initiatives for EU Social Acquis and Absorption of the EU Structural Funds” (December, 2006 – November, 2007) supported by EU PHARE Program. There were conducted 7 training sessions for trainers (ToT), two of which were held in the specialized rehabilitation center for people with disabilities in the city of Pomorie. The total number of people involved in the ToT was 210 people, 60 of them with hearing disabilities and visual impediments. Beneficiary: Varna Economic Development Agency. Project “Strengthening the Entrepreneurial Spirit and Business Leadership among the Young Women in Varna Region” (March-August, 2007 ) supported by the Bulgarian Woman Fund in Sofia. Under the project there was a survey to find out the attitude of more than 165 young women and girls to start their own business activities. There were a meeting in August, 2007 with young women entrepreneurs and local decision makers to publicize the project results and to establish a network for cooperation among female organizations and young women. On September 25, 2007 the project results were presented during a national conference, organized by the donor organization in Sofia. Lead Beneficiery: Varna Economic Development Agency. Project “Methods to empower the Balkan women and their role as active citizens of the European Union ” (September, 2006 – June, 2007) with a leading organization DIKEAD from Thessalonika, Greece. VEDA representatives participated in the workshop, conducted in September, 2006 in Sofia and in the international conference, held in Thessalonica in June, 2007. Project “Building capacity of SMEs from Varna and the region to elaborate proposals for funding under the EU Structural Funds and the Cohesion Fund” (June-November, 2007). Three work- shops were initiated and organized by VEDA for local businesses. Project “Survey on the procedures for issuing a construction permits by the Municipality of Varna”, supported by the Institute for Market Economy in Sofia (May, 2007). Project “Job-net” – with the participation of Euro-net – Italy, the leading organization and partners as follow: Community Development Institute – Macedonia, EIRC – European Institute for Relations & Cooperation – Greece, Bauska District Council (DC) – Latvia, Atrium – the Netherlands, Forulum Cetanesc Pentru Actiune Sociala si Educatie Civica – Romania Beyond the barriers association – Albenia, The Technology Center – Great Britain and VEDA- Varna, Bulgaria ( June-December, 2007). Main activities : survey among the young people to find out a job, creation of a web-site to advertise the job opportunities, meeting of the working groups (August-September, 2007) to define the next main steps for project elaboration, publishing brochures, posters etc. Project “Lightning Rehabilitation and Promotion of Varna Sea Garden and Its Tourist Attractions”, Budget line BG BG2003/004-937.11.03 PHARE Program – Economic and Social Cohesion. (Dec., 2005 – Dec., 2006). The overall project goal was to improve the tourist attractiveness and promotion of Varna as a modern European destination for tourists from all over the world. Project includes the three main groups of activities: 1) Rehabilitation of Varna Sea Garden lightening facilities with a focus on installation of energy saving lamps and an effective illumination; 2) Renovation of the building and collections of the National Sea Museum, located in the Garden, and 3) Support and promotional activities concerning further development of the tourism in the region. Beneficiery: Varna Economic development Agency. Project “Strengthening Partnership in the Planning and Absorption of the EU Structural and Cohesion Funds”, a joint project of the UNDP, British Embassy to Sofia, and Ministry of Regional Development and Public Works. (March – October 2006). VEDA was a sub-contractor and has delivered training and consultant services in public-private partnerships, EU cohesion policy, operational programs, etc. for local stakeholders from eight municipalities in Varna region as well as support for elaboration of proposals. 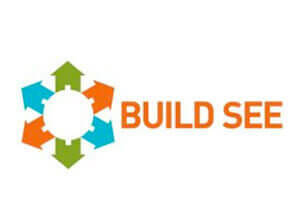 Project “Social Enterprises”, Counterpart Bulgaria (USAID). ( March, 2003 – June, 2006 ). Under the project VEDA provided advisory support for establishment of five social enterprises by NGOs, located in Varna region. Project “Non-formal education – way to encourage the young people employment” (July, 2006) supported by the EU Youth Program. Leader – DIKEAD in Thessalonica, Greece. VEDA was a partner organization along with youth organizations from Italy, Turkey, Romania, Cyprus, France, Great Britain, and other EU states. Under the project there were training, cultural exchange and networking. Project “Our Successful Business” – PHARE 2002 Social Integration (May – September, 2004). VEDA was a partner of «Empathy» Foundation – Varna and provided training and advisory services for people with disabilities (the deaf and blind people). The female trainees were over 60 %. The topics included but not limited to business planning, company registration, marketing, product promotion and advertising, contracts and negotiations’ skills, credit lines for start-ups, accounting, etc. Project “Varna Initiatives for EU Acquis Enforcement in SME Sector” – 2002 PHARE Small Projects Programme, Budget Line B7-030, EU Commission. The main idea behind the project was collaboration, partnering and exchange of best practices on international level between five candidate countries for EU membership (Poland, Hungary, Slovak Republic, Rumania and Bulgaria). Under the project Varna Economic Development Agency undertook and carried out in May, 2004 International Conference “EU Accession in Central & Eastern Europe: Small and Micro Enterprises”, a press-conference, web-site for the conference, web-portal, conference brochure, project leaflet, and CD with conference materials. The list of speakers included Mr. Pal Csaky – Deputy Prime Minister for EU Integration, Human Rights and Minorities of the Slovak Republic (right on the picture) and other key officials from Poland, Hungary, the Slovak Republic, Bulgaria and Romania, which countries have applied for EU membership. Project “Women in Business Leadership – New Bulgarian Imperative” (May – December, 2003) funded under the Canada Fund for Local Initiatives (CIDA). The project was aimed at organization of three regional networking events for women entrepreneurs, regional conference in October, 2003 and publication of a catalogue of successful women – run businesses. Project “Social enterprises” funded under the Counterpart Bulgaria Programme (USAID). VEDA has delivered consultations for establishment of social enterprises to five not-for profit organizations in Varna and the region. Project duration: March, 2003 –June, 2006. 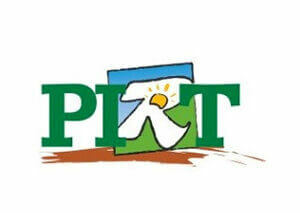 Project “Canadian-Bulgarian Economic Development Exchange”, PTP (ACCC). In April – May 2002 four VEDA representatives participated in the 16th Annual Conference on Business Incubation, held in Toronto, Canada as speakers, in conference posters’ presentation, in exchange of experience and best practices with Canadian business, NGOs and universities, working in the economic development area in Toronto and Ottawa. Project “Bulgarian Canadian Project for Export Promotion” (CIDA). In 2002 VEDA was a participant as a BARDA member in the two project stages – training for trainers and organization of regional workshops on International Marketing for export oriented companies from the food-processing industry in Varna, Dobrich & Shumen region. Project “Decision Making on National, Regional and Firm Level” (PHARE-ACCESS). In 2002 VEDA and the regional agency in Blagoevgrad were partners of the Institute for Market Economy – Sofia in the process of elaboration and testing of a model for business barometer as an alternative tool to the official statistics to gather regional business information. The collected data and business forecasts from the biggest regional “players” was used by other businesses for planning and business purposes. There were businesses meetings and presentations of the results in front the local community and media. 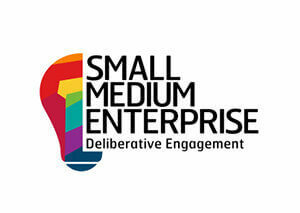 Project “Capacity Building of the Accelerated Growth of the SME Sector in Bulgaria” EU PHARE Project. In September, 2000 – May, 2002 VEDA participated as a beneficiary through BARDA-Sofia, and later on – directly on a contractual base in that project, delivering consultation and conducting a lot of business & breakfast meetings to present to local business and interested local stakeholders new bank credit-lines, sources and programs for SMEs funding, new legislative amendments with concern to business development. VEDA organized training for trainers and for unemployed people (How to Work with PC, Accountancy for Start-ups, How to Start Own Business, etc.). Monthly newsletters and bulletins as hard copies were created and disseminated regularly among local community representatives. Project BG 9704.02.02. “Long-term partnership to support SMEs in Varna region –continuous improvement of the environment for local business”, EU PHARE Project in 1998 – 1999г. The project aims : 1) to support the sustainable development between different sectors, local administrations, civil society organizations, universities and other legal entities in the region; 2) to test the readiness of local decision makers to participate in innovative projects with focus on stabilization of the business environment; 3) to promote business culture and increase employment opportunities; 4) to support business development. Project duration: September, 1998 – October, 1999.